We braved the narrow, ever-winding country lanes that snake through the Wye valley one sunny August morning. 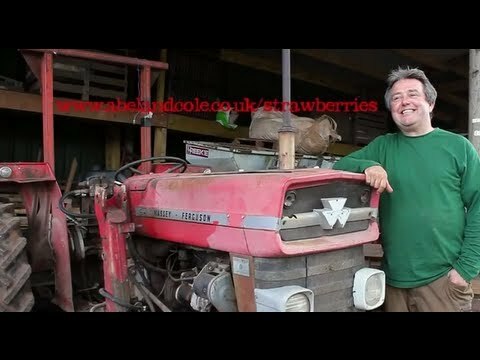 Our destination was the secluded Whitethorne Farm, home to an abundance of organic fruit & veg, as well as Martin Soble, one of our longest-standing friends in the field. What you might not recognise however, is the long grass that’s speckled with wildflowers and other plants that grow among the fruit. While many farmers might weed these out, Martin allows them to flourish, attracting the birds and bugs that are so vital to the success of his crops. “All of our fruit crops and many of our vegetables are reliant on pollination in the field” he tells us, as a bee buzzes overhead as if on cue. Martin’s been farming here organically since 2004, on land that’s not been chemically treated for decades. His approach is all about letting nature run its course and, to us, the results speak for themselves.